Car collisions are among the leading causes of injuries in Tucson and southern Arizona. When a car crash occurs, the best course of action for those injured is to seek experienced injury attorneys to represent them. At Bache & Lynch, personal injury and wrongful death cases are all we do. We are highly experienced lawyers who offer dedicated, personal service and aggressive representation to auto collision victims seeking financial compensation for physical injuries, lost wages and pain and suffering. We bring an in-depth understanding of the insurance industry into settlement negotiations and apply proven litigation skills when fighting for our clients’ maximum recovery in court. We only represent victims injured in car accidents, not insurance companies. We used to represent insurance companies and know how they respond in car accident injury cases, often refusing to adequately compensate those injured. When injury victims and bereaved families hire Bache & Lynch, they hire a powerful team. Our lawyers have more than 50 years’ combined personal injury experience, much of which has been focused on representing those injured in automobile accidents. Our attorneys give their best effort to every client to find and hold accountable all people, companies, and organizations that may be liable for every incident. We extensively analyze and investigate all car wrecks causing serious injury or death, in order to identify every person or entity at fault. Since the other driver’s insurance policy may not be enough to fully compensate you for the harm you suffered, we will aggressively pursue every possible source of compensation, including all insurance coverage that may apply. We will leave no stone unturned in seeking justice for you. We believe that collisions are no accident. Whether the car crash was caused by distracted driving, texting while driving, drunk driving or careless driving, we will ask the right questions and do everything necessary to build a strong case on your behalf. Statistics show that SUV rollovers are three times as likely to occur rather than a rollover in other passenger vehicles. Sport utility vehicles have been shown to have the highest death rates occurring in rollovers, while the Ford Explorer SUV is sixteen times more likely to kill another driver in an accident rather than the typical family car. Rollovers have caused thousands of deaths on the nation’s roadways due to the injuries that are caused by rollover wrecks. A recent study shows that nearly 11,000 were killed in a rollover accident, while 61% of those crashes were connected to SUV’s. In the last year, that number has increased by 14%. Compared to other vehicle accidents, rollovers do not occur as often, yet when they do occur, they likely are to result in a serious injury or death. Most rollovers occur after the driver runs off of the road, after the driver has lost control of the vehicle. SUV’s have a higher center of gravity rather than other vehicles, which makes them top heavy, easily making any corrective action dangerous. Driving with more passengers or cargo in a sport utility vehicle also increases the chance of an SUV rollover due to weight added to the vehicle. For some rollovers, prevention is possible but unfortunately many consumers are not aware of the dangers involved in SUV vehicles as well as the tragic and serious injuries that can result from a sport utility vehicle rollover. What Damages are You Entitled to from A Car Collision Injury? As every case and situation is different, contact us today for a free consultation to discuss your car collision case with an experienced personal injury lawyer. We can advise you on the types of damages that you may be entitled to, and also the parties that may be responsible for your injuries. It is imperative that you know you know your rights regarding auto repair, as well. Contrary to popular belief, it is your legal right to choose the collision center of your choice. Far exceeded my expectations… I was referred to this practice by a friend who had also, unfortunately, been in an automotive accident. This was the first accident I had been in and I had my newborn in the backseat when we were run off the road. I met with Katie and Leah, detailed the experience and showed them pictures of my injuries. They provided me with resources to obtain immediate medical care and worked diligently once I had completed physical therapy to advocate for myself and my daughter with the insurance company. All of my account documents were accessible through an online portal and most documents were signed online as well, making this is really easy process for me. They took the time to understand my concerns and frustrations and showed true care in regards to the well-being of myself and my daughter. 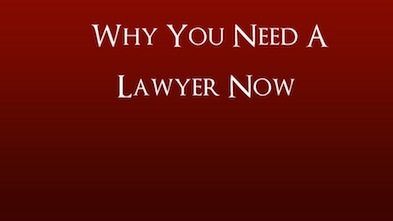 Hiring an attorney for the first time was intimidating but Katie and Leah made this much more simple for me than I had anticipated. Though I hope I never need to hire an accident attorney again, I will definitely be calling Bache & Lynch if I do. Google 5 Star Review – R.G.